Ideal for Airboats, ATV's, golf carts, bicycles, etc., our durable whips will provide an "illuminating experience" in low light conditions. They are easy to install and are powered by your existing 12-volt battery system. An accessory kit is also available to allow quick connect/disconnect for short duration rides. 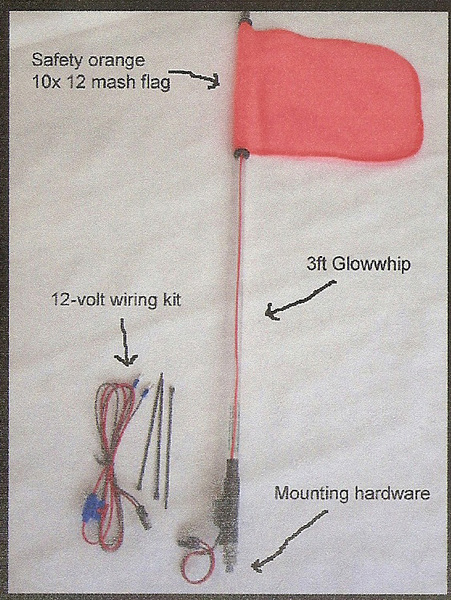 Our whips are currently available in seven colors - pink, green, red, yellow, blue, orange & white.